Let’s learn the ways in which harnessing the powers of Chatbots can help business thrive in today’s ever so competitive world ? and why Natural Language Processing is in-high demand! 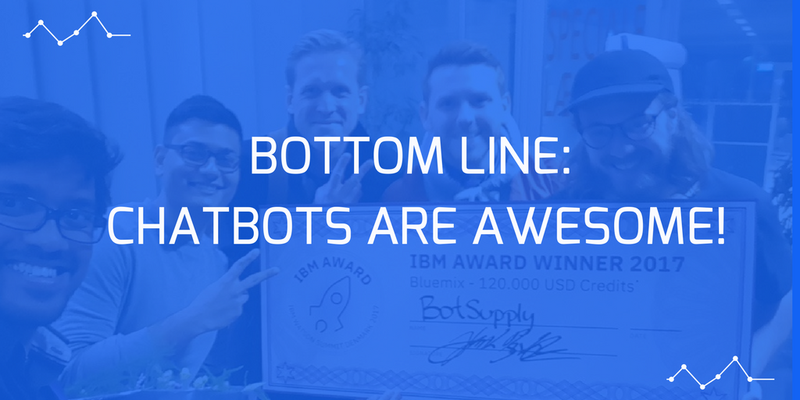 Let’s get our #Bot game on! A common definition for Chatbots is that they are conversational agents or digital assistants that can either be “dumb” or “smart” depending on whether they’re based on artificial intelligence or not. What makes this kind of technology so helpful and accommodating is the ability that it has to hold engaging conversations with a human. In this way it becomes an incredibly useful tool to help brands extend themselves by becoming more available to their customers. 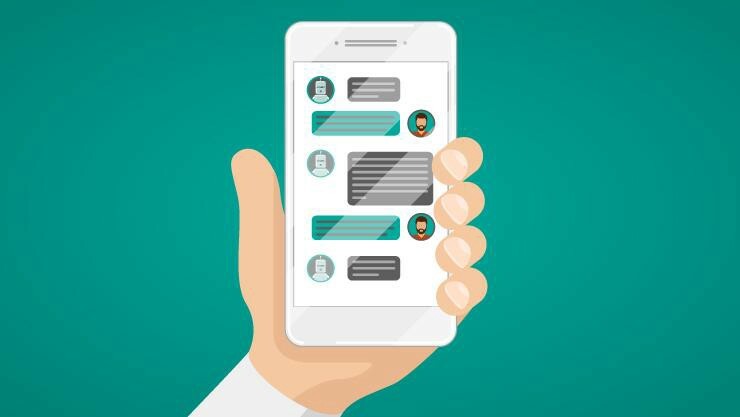 Currently, one of the main potentials of chatbots is their ease of use and that they’re platform agnostic, meaning that they can be deployed in whatever platform the target group to which they’re directed prefers. It also means that they can be used internally for companies that are interested in upgrading their internal communications with a chatbot. When designed right these digital assistants are able to send texts, images, audios, links and messages in real time as responses to queries from users. Depending on the use case of the chatbots, they are often used to find information about the services a company provides, consult their products availability, make reservations or bookings, and even assess the customer’s experience with the service the company has provided. These conversational agents have proposed a new scenario for customer service, pushing the bar to better services where costumers are cared for and assisted on a 24/7 basis. In a world where mobil and digital are first and musts it makes little sense for companies looking to succeed to no harness the benefits of deploying chatbots as a key tool to strengthen their relationships with their clients booth internally and externally. The power of Chatbots! ? To summarise here are some of the awesome benefits of deploying chatbots as part of your digital strategy. Chatbots can be operational and ready to engage with their define target group 24 hours a day, 365 days a year. If a particular company receives many requests, it is not necessary to increase the template or team capacity for receiving queries. A well built chatbots allows the brand to face all the questions in a simultaneous manner. Companies can get real insight into what they’re costumers prefer, and therefore provide improved offers and answers to their users. There’s lots to be learned from most searched and used words in regards to what interests the users most. Chatbots allow companies to save money and are easy to configure to meet different needs (depending on the application used). Once they have been built the costs of keeping them updated are relatively low. Chatbots can record data, trends and metrics to subsequently monitor interactions and adjust their processes and responses accordingly. As mentioned before, a great strength of chatbots is that they allow for companies to meet their costumers in whichever platform they’re native to. Chatbots allow to be built in different platforms and are easy to adapt and integrate to whatever business as they also allow for specific installations. n Copenhagen was used as an event guide. Over 1,000 messages were sent through Amigo on the day of the event.Amigo assisted the attendees in navigating the different stages and exhibitions the event offered, by offering time slots and other relevant information. 1 out of 4 persons that attended the Komfo Summit used Amigo to learn information about the event ???????? Do you imagine if the organisers of the event had to send all those messages manually while the event was taking place? The man power required would’ve been intense! So there you have it! ? Some of the amazing benefits of including a chatbot in your digital strategy. The verdict has arrived and the benefits of implementing Chatbots are tangible. It’s not by chance that numbers resulting in a survey ran by Business Insider show that 80% of businesses want chatbots by 2020. Do smart business and join the party — as it’s commonly said nowadays, don’t be the next Blockbuster, push the bar and improve your process and the way you cater to your clients before your competitor does.